While some analysts are calculating whether the West/Europe can agree with Russian plans to change Belarusian regime or has already done so, there are reasons to assume another tacit deal. Between Western political leadership and Lukashenka. Without much noise, Western attitude to Belarus changed regarding the most important for Minsk point. 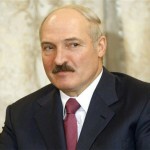 Both EU and the US have given up their policies aimed at removing Lukashenka. But that is nothing compared with another development concerning Western support for Belarusian opposition. These days, Belarusian political community accepted the sheer fact that at the near presidential elections there will be one candidate which is explicitly pro-Russian. The candidate from previous 2006 elections – Alyaksandar Milinkevich – did not manage to find money from the West this time. If true, then the EU and Lukashenka can work together, since the Belarusian leader principally is not against changes. The history of his political carrier shows him to be very flexible and even opportunistic in all points except for gaining and retaining personal power. Now, Lukashenka also is interested in changes. Earlier the EU wanted from him the changes that while liberalizing Belarusian politics unavoidably would have led Belarusian president to his doom. New messages on gradual change through cooperation sound not so dangerous for Minsk regime, moreover, they seem to be even promising in some respects. After all, there can be no eternal rule, and this is a good exit option into political retirement. But Belarusian regime can fare even better in the future if it persists longer in the face of Russian pressure and European engagement. 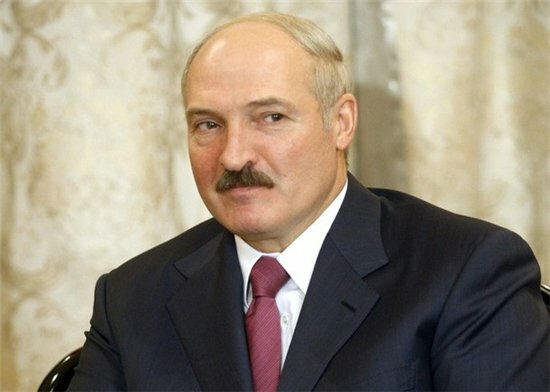 Lukashenka clearly dreams of being accepted by the West as other doubtful regimes on the European borders are accepted – from Morocco to Kazakhstan – i.e. as friendly and geopolitically loyal enough neighbor. Not a part of Europe, yet a useful buffer to support European security and stability. The key principle of stability of Belarusian regime is not to get too close neither to the Russia nor to the West. Now Belarusian leadership and government model built by him is equally unacceptable both in the West and the East. So, if Minsk becomes too dependent on any of these poles it will have to make its political model more compatible to Russian or Western standards. And that will result in political demise of Alyaksandar Lukashenka. 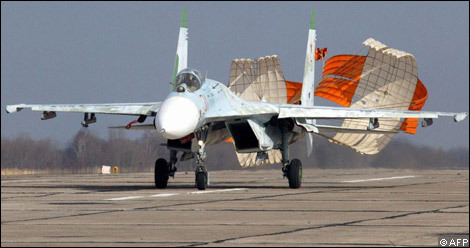 Belarus is about to sign the world’s largest sale of fighter jets to a private company. ECA, a Netherlands-based company, is in talks to purchase 33 fighter jets from BelTechExport, a state-onwed Belarusian company. ECA plans to use the jets in Iceland as a mock enemy in military training exercises. The size of the deal is impressive – 33 fighter jets would be enough to fully equip army of a mid-sized European country. ECA has agreed to buy 15 Sukhoi Su-27 “Flanker” jets from BelTechExport, a Belarusian arms export company, with the option of 18 more. If completed, it would be the biggest sale of fighter aircraft to a private buyer and the first large-scale import of Russian-made warplanes into a Nato country. 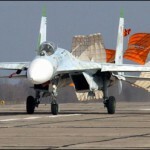 … the aircraft were originally made in Russia and will be “upgraded” in Belarus, with the first delivery in October. Belarus is already one of the world’s largest military exporters. Although the country does not manufacture significant quantities of military equipment, it has old Soviet stocks and significant imports from Russia. In addition, 558 Aviation Repair Plant* is located near Baranavichy, in Western Belarus. The plant has wide experience of military technical collaboration with the foreign countries, and specializes in upgrading Soviet fighter jets. However, the Baranavichy plant is not the main reason why Belarus is one of the world’s busiest arms exporters. It appears that Russian business groups are able to strike good deals with the leadership of Belarus when it comes to selling arms abroad. Avoiding taxes and public attention is crucial in this business. The deals are made in secret and their details are known only to a very limited number of people. So far, Belarus was known for sales to rough regimes such as Iran or Venezuella. Now the benefits of murky and non-transparent Belarus environment became evident to serious European customers. If the deal goes through most of the $1.5bn sale price paid by ECA is likely to end up in private coffers of well-connected entrepreneurs and government officials. It is unfortunate that neither Russian nor Belarusian tax payers are aware of such deals let alone benefit from them.